I'm back in Hong Kong and i'm still very very jet lagged. I'm still trying to get used to the Hong Kong lifestyle again as I've been back home in London for the last two months. By looking at the outfit pics above you can see that i've put on some weight, it's from all the great food i've been eating over Christmas and the New Year. So now i'm working hard to shift the weight off. lovely look dear! I love your satchel! Me encanta el look, el color del bolso es genial!!! great shoes! would you like to follow each other? let me know! We like your style! 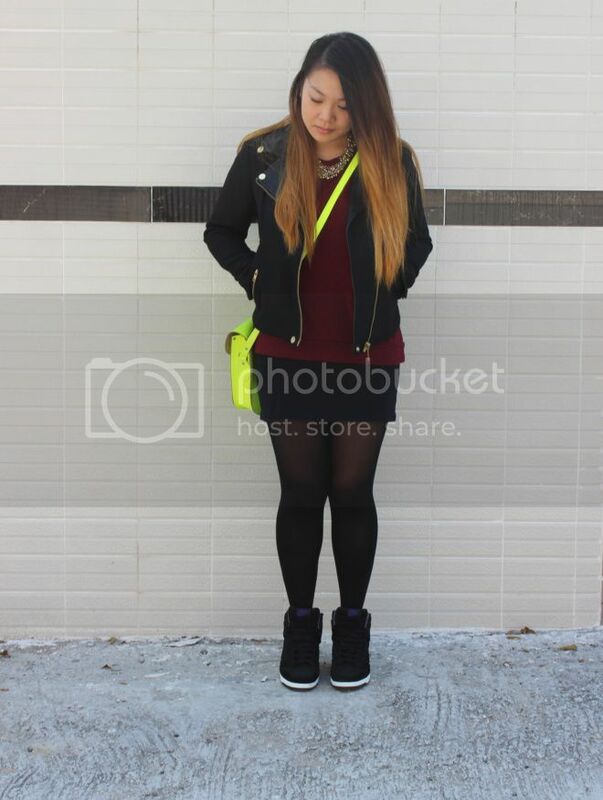 That color combo is perfect and we like how you´ve given it a twist with that acid satchel!! So cool!! I found your blog and it's so great, I like this outfit, you look awesome... Wanna follow each other? Great blog and gret outfits.